In 1947, the Seventh District Carnival Club, originally formed in 1924, returned to parading after a hiatus during World War II. The club changed its name to the Krewe of Carrollton and also changed its Mardi Gras parade route to include Carrollton Avenue, ending with a review stand at Palmer Park. 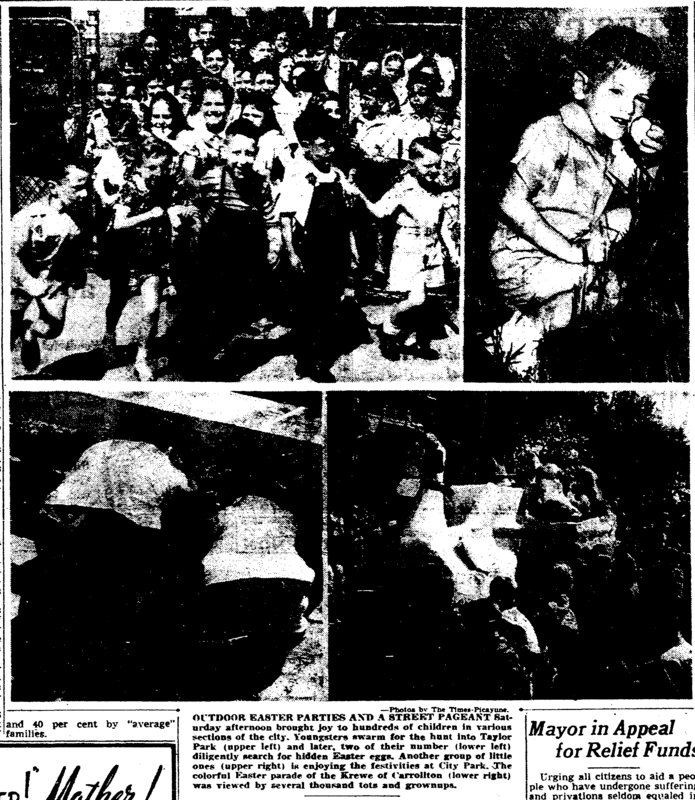 The 1947 theme was a “Fantasy of Fairytales.” That same year the Krewe also held an Easter parade, culminating in an Easter egg hunt in Palmer Park for local White children and orphans from throughout the city. Members of the Krewe dressed up as Easter bunnies and hid the eggs throughout the park. The Krewe is now one of the oldest existing Mardi Gras parade organizations. In 1979, the Spontaneous Krewe of Platefaces made their debut at Palmer Park. The organization was founded by John Smith, a New Orleans resident that decided to form a Krewe that anyone could afford to join; the only requirement was a paper plate with holes cut for the eyes and mouth. The Krewe assembled at Palmer Park and then boarded the streetcar to toss out handmade doubloons to passersby. The Krewe has continued to participate in Mardi Gras festivities, even having an annual ball at Joey K's Restaurant on Magazine Street. 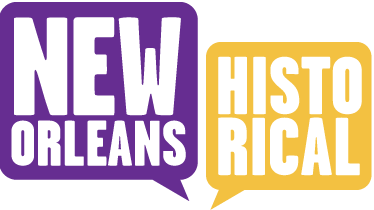 Kevin McQueeney, “Krewe of Carrollton and Palmer Park,” New Orleans Historical, accessed April 24, 2019, https://neworleanshistorical.org/items/show/669. "Carrollton has Carnival Parade." The Times Picayune February 19, 1947. "Easter Parade Set for the Afternoon." The Times Picayune April 5, 1947. "Hail Three Carnival Parades." 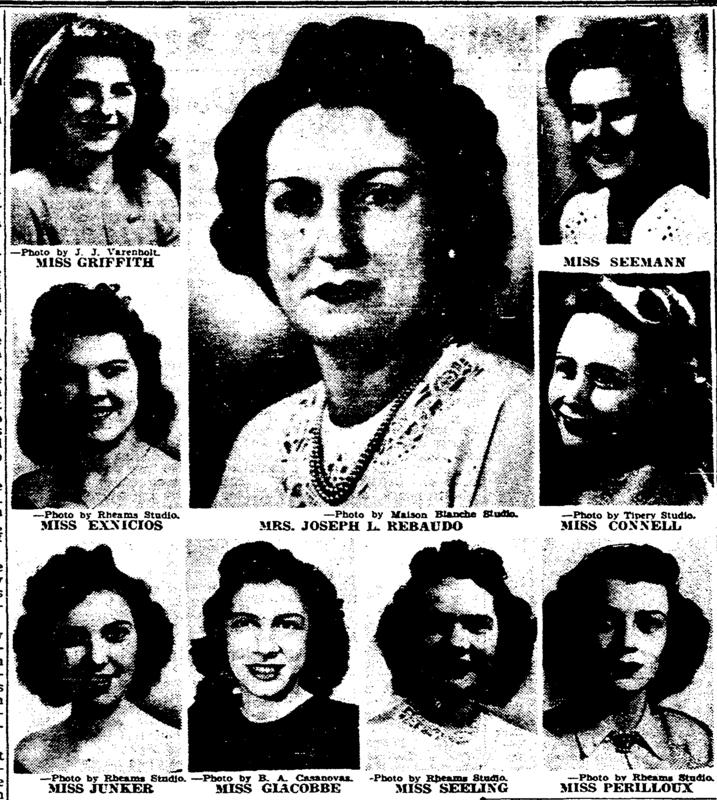 The Times Picayune February 17, 1947. "Platefaces Ride for Mardi Gras." The Times Picayune Febraury 27, 1979. "Younger Set Sees Bunny and Mayor in Carrollton." The Times Picayune April 6, 1947. For more information on the Krewe of Carrollton: Lissa Capo and Ben Lewis, “Krewe of Carrollton, origins,” New Orleans Historical, accessed March 2, 2014, http://www.neworleanshistorical.org/items/show/467. Nicole Romagossa, Lissa Capo, and Ben Lewis, “Krewe of Carrollton Revelry, 1936,” New Orleans Historical, accessed March 2, 2014, http://www.neworleanshistorical.org/items/show/470. Lissa Capo and Ben Lewis, “Krewe of Carrollton, Royal Court of 1936,” New Orleans Historical, accessed March 2, 2014, http://www.neworleanshistorical.org/items/show/465. Lissa Capo and Ben Lewis, “Krewe Of Carrollton, 1960s and 1970s,” New Orleans Historical, accessed March 2, 2014, http://www.neworleanshistorical.org/items/show/468. For more information about the Spontaneous Krewe of Platefaces: Lind, Angus. "Paper Plates on Parade: The Spontaneous Krewe of Platefaces has been dishing on Carnival for 25 years." The Times Picayune February 8, 2004. http://www.politickles.com/platefaces/onparade.html.